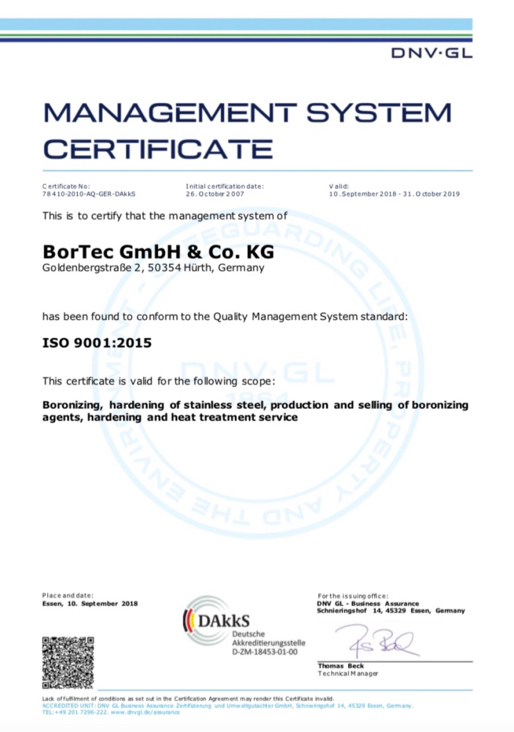 BorTec GmbH & Co. KG is an innovative business company with its roots going back to the prime traditions of the German Chemical Industry. Right from the start we focused on the use of boron as means of wear protection of steels within mechanical and plant engineering. By diffusing boron into the steel surface a wear protection method known as Borodur® procedure, was developed. A central element of our business is ensuring a constantly high level of quality. Significant processes, starting with the incoming goods via the heat treatment, the metallographic analysis and finally the dispatch guarantee the reproducibility of our products and services. 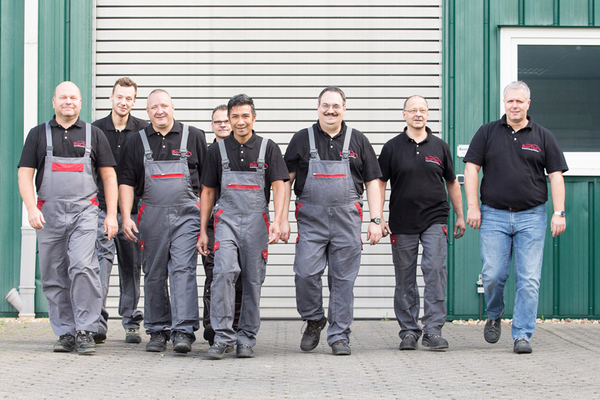 We are certified according to ISO 9001:2015 and implemented an alternative energy management system.We realize that this doesn`t allow us to rest on one`s laurels, but are aware that the result significantly depends on the motivation and quality consciousness of each employee, which needs daily encouragement. It is almost impossible to detect the quality by visual or non-destructive assessment where heat treatment and coating processes are concerned. The importance is focused on the microstructure of the base material, the morphology as well as the correct layer thickness. Therefore we dispose of a fully equipped metallography and a laboratory, in which we constantly check the results of our coatings and heat treatments by using metallographic specimens. The necessary specimens are always treated in the same coating lot and are finally archived. The traceability is guaranteed for years to come. By customers` request the results will be certified in a certificate of compliance according to DIN EN 10204:2005-01 (e.g. certificate of compliance 3.1).